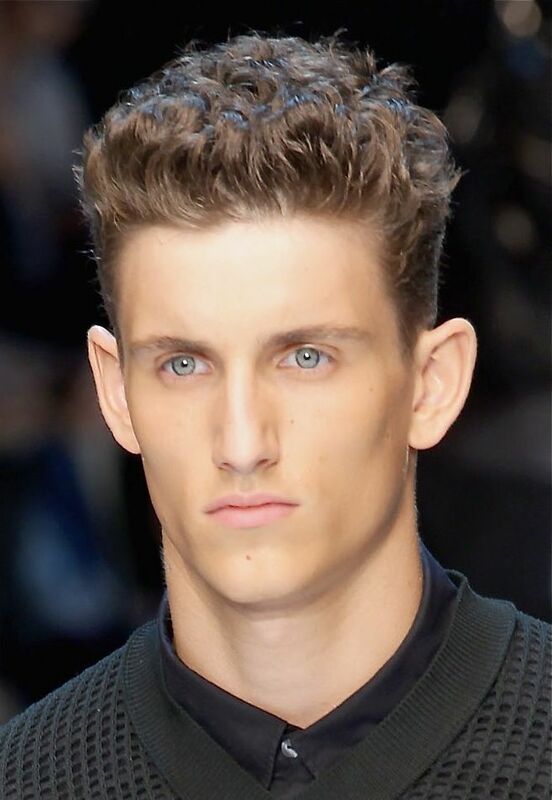 This fashion model has thick curly hair and this higher hairdo frames his face well especially with the sides kept short. It also shows off the curl. With blond wavy hair like this model, styling it up keeps it tidy while still showing off the curl since it has some length. If you have curly hair, you might hate it since it can be frizzy, especially when it is huimid out. You might want to give a curl enhancing styling gel a try to achieve this look and keep your curls in check. David Beckham has had many hairstyles both short and long. For a formal event, he has gelled his hair up. Musician Adam Levine always looks stylish. His hair worn in this style compliments his square jaw line. English actor Oliver Jackson Cohen gives his haor some texture with subtle highlights and wearing it in a more messy fashion. A fashion trend of late is what I like to call men's updos, or as it might be more commonly known, hair that has some height. It's a bit retro, a bit alternative and very current. Fashion models, celebs and hipsters alike are donning this upwardly mobile hairdo. This fashion model has really thick and curly hair as well as a widow's peak. With his hair worn up like this, the widow's peak is more featured. This style also frames his face well, especially with the sides kept short. Uruguayan punk rock musician Gabe Saporta sports an extra high hairdo. His overall look seems to lend itself well to this men's hair trend. A lot of styling product must have been used to acheive this look. Bruno Mars is no stranger to wearing his hair in a pompadour style or flamboyant updo as seen here. His retro look goes with this mod hairstyle regardless whether it's a current fad. This blond fashion model is wearing a more subtle version of the men's uppdo hairstyle. This is the kind of hairstyle you might find on many young guys. It doesn't require a lot of time to fix nor does it require particularly long hair in top.